Northern California's Timberlane LLC continues to expand distribution for its Double Gold winning Arkansas Black Straight Applejack. Straight Applejack was the first distilled spirit in the colonies and by law contains nothing but apples. Before we had Rye, Rum, or Moonshine we had Applejack. It is a key ingredient in several famous cocktails, and yet post-prohibition there remain very few producers of this unique product. 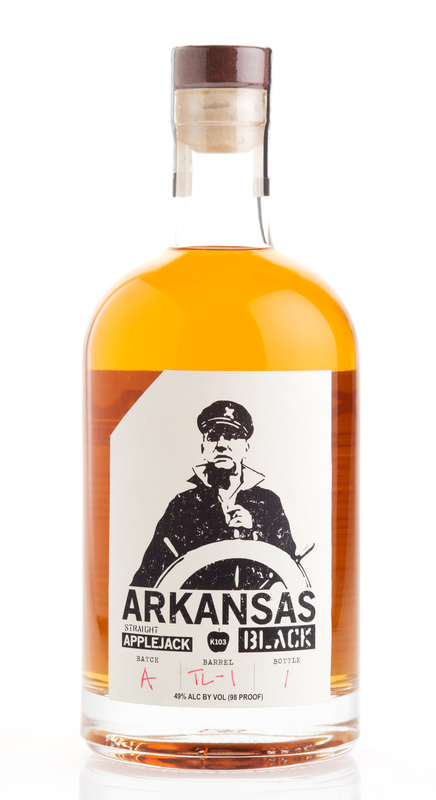 Arkansas Black Straight Applejack, founded by the husband and wife team of John and Samantha Collins, started out with just two barrels of applejack in 2013, and were embraced quickly by the bartender crowd in the San Francisco Bay Area. According to Samantha, "Our recipe pays homage to my Great-Grandfather of Arthur “Skipper” Ford. Skipper had an apple orchard on Howell Mountain in Napa where he grew heirloom apples for cider and applejack. His favorite variety of apple was the Arkansas Black." Every bottle of Arkansas Black Straight Applejack contains approximately 25 lbs. of fresh apples and nothing else. The apples are carefully crushed and fermented before entering a pot still. There they are distilled before clarifying the cider, preserving the fresh apple flavor. The spirit is rested for 2 years in used French Oak barrels before spending an additional year in new American Bourbon Barrels to lend sweetness to the nose and finish. More info is available at http://www.arkansasblackapplejack.com.